If you're looking to take a history lesson in SHMUPs, you probably won't want to pass on XIIZEAL, a recent re-release from developer Triangle Service on PC. The Steam version of the game is from the same studio founded by Toshiaki Fujino, a programmer from Konami and the now defunct Oriental Soft Japan Studio. The hook here is the arcade style gameplay with the ability to build combos by deflecting bullets and chaining kills. Here's a nice high score run from the Xbox 360 version released a few years back - previously the only way to get this game. The Steam version has been updated with some improved filters, the ability to rotate the screen, online leaderboards, and saved replays. It supports local co-op for two players where you'll shared credits through the campaign. You'll need to have two Xbox 360 controllers though for that to work, as keyboard and controller gameplay doesn't appear to be supported. 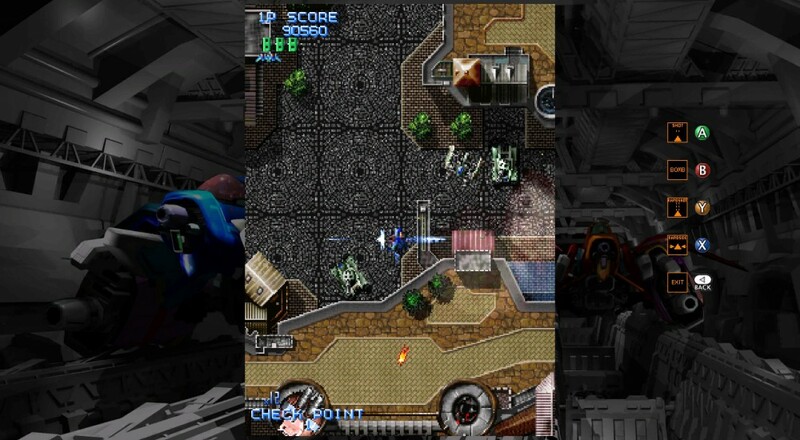 The bit of time I spent with the game has quickly made this on my list of must play SHMUPs. It feels really responsible, highly replayable, and hard to master. The music is catchy too, which always helps! The price is $11.99, which is a bit steep for a re-release of a re-release, but considering the original was only available in a $30 collection, this will have to do. Page created in 1.0345 seconds.